One of the best ways to explore the United States is through its varied food, and there are plenty of food tours to help you discover this country's best dishes. From belly-busting barbecue tours to fine-dining odysseys, we've picked 50 of the best. This tour of Mobile was founded by a local couple dedicated to showing off their beloved Gulf Coast city. Join the annual Mardi Gras-themed Food and Floats Tour and you'll explore the city's historic carnival traditions through seven of its top restaurants. A favourite stop is Wintzell's Oyster House which opened in 1938. This is one for seafood lovers. A Tour with Taste takes place in Alaska's historic capital, Juneau, with visits to nine of the city's best-loved foodie spots. Stop off at Tracy's King Crab Shack for crowd-pleasing king crab bisque, and indulge at SALT, a modern restaurant serving innovative Alaskan cuisine like cod tacos. Each tour is led by Kelly "Midgi" Moore, a local food blogger. 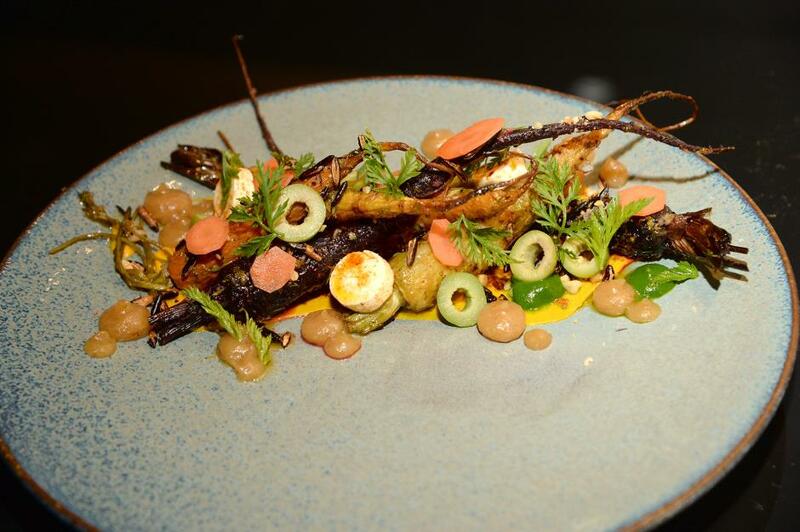 In 2016, Tucson became the United States' first UNESCO city of gastronomy for its first-rate farm-to-table food and innovative dishes. 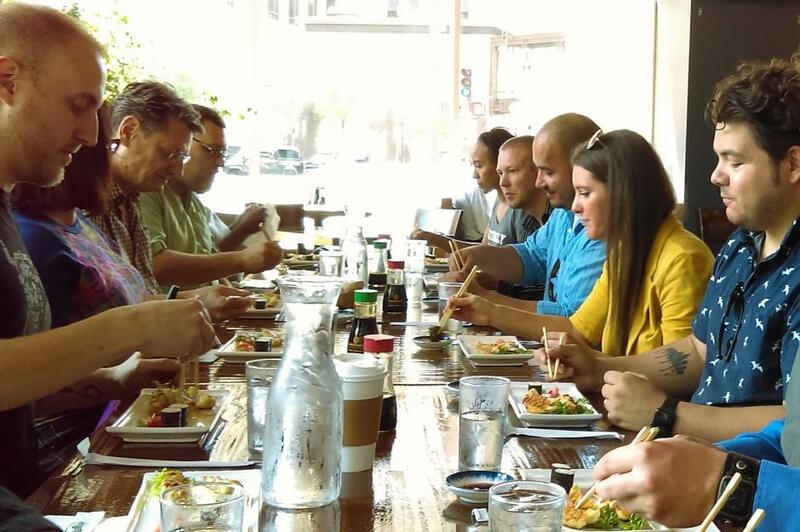 Tucson Food Tours has been showing off the city's best bites since 2012. Their downtown tour visits some of the city's quirkier restaurants, including Reilly Craft Pizza and Drink, located in a former funeral parlour. The tour also drops into El Charro which claims to be America's oldest Mexican restaurant, opening in 1922. The city of Hot Springs is well-known for its natural spas and mountain vistas, but the people here know how to cook too. A Bite of Hot Springs' 'Bites and Flights' tour works its way through city's downtown on foot, combining tastings and Hot Springs history. 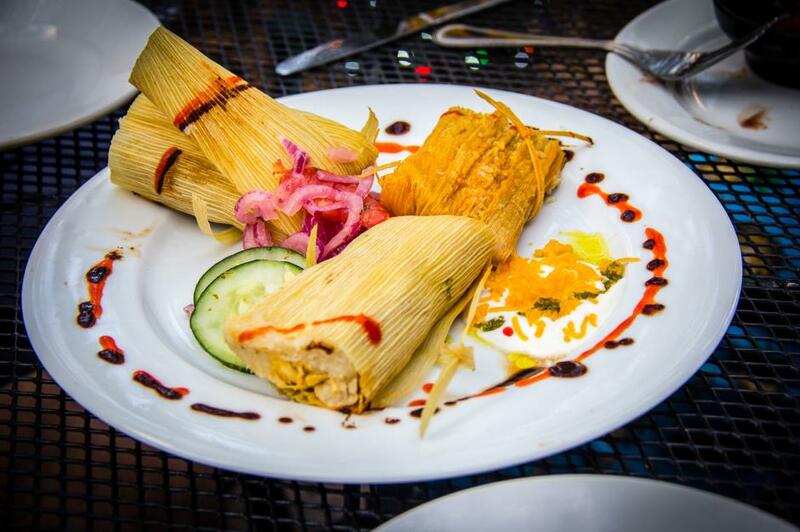 Try traditional tamales at Latin fusion restaurant Rolando's and sip margaritas at laid-back Mexican joint Viña Morita. For a taste of the good life, book yourself onto TOURific Escapes' Hollywood Sites and Bites tour. On the four-hour jaunt, you'll take in some of Hollywood's best-known sights, like the Capitol Records Building and Sunset Strip, and dine in some of the area's most sought-after locations. 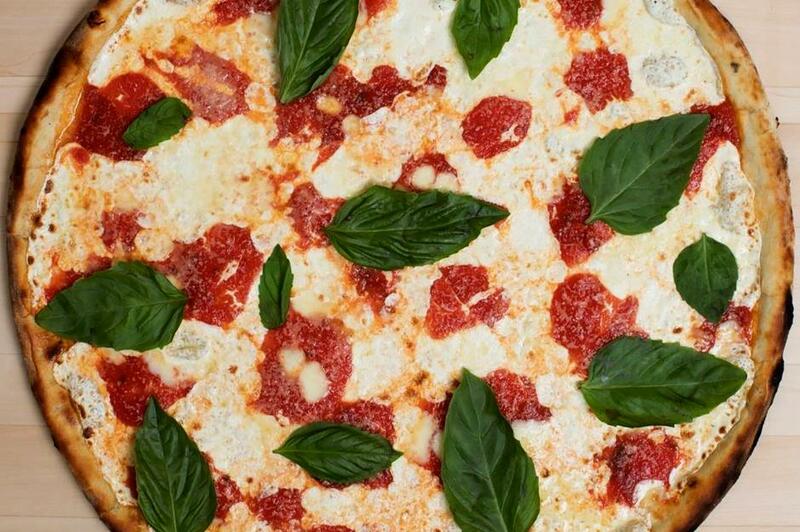 Pizzeria Mozza is one of the top stops: opened by US celebrity chef Nancy Silverton, it serves pies with creative toppings like spaghetti squash and nettles. On this three-hour tour of downtown Denver, you'll hear about the city's Gold Rush past and learn how the surrounding land (the city is at the base of the Rocky Mountains) has been a crucial ingredient in its burgeoning food scene. 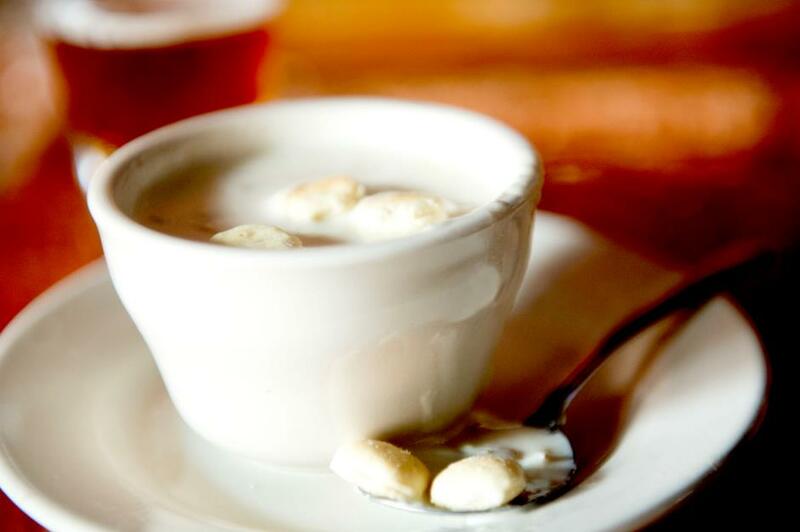 Stops include beer and sliders at the city's oldest brewery, Wynkoop Brewing Company, and a scoop of Denver's finest ice cream at Milkbox Ice Creamery. This small tour company offers a handful of tours showcasing the foodie delights of coastal New Haven. 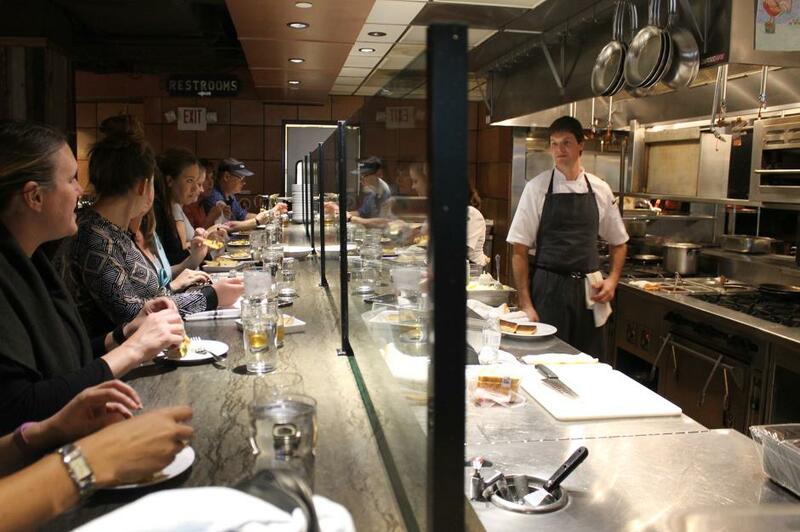 The Live to Eat Tour is the standout: a world-food tour focusing on healthy, nourishing dishes. You'll begin by trying Ethiopian cuisine at downtown Lalibela and move on to sample sustainable sushi at Miya's, who claim to have invented the sweet potato sushi roll. Seafood is the star of the show in this gourmet tour of Rehoboth Beach, a laid-back coastal city in Delaware. 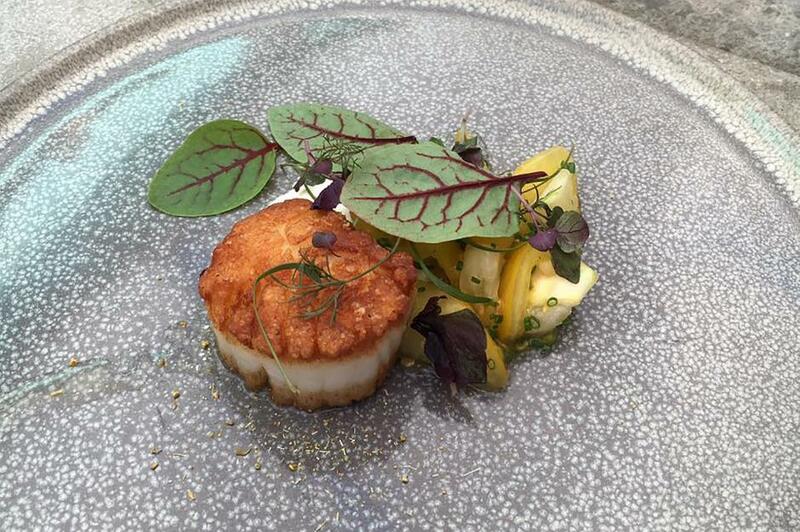 Feast on food plucked straight from the ocean like pan-fried scallops and seared sea bass. 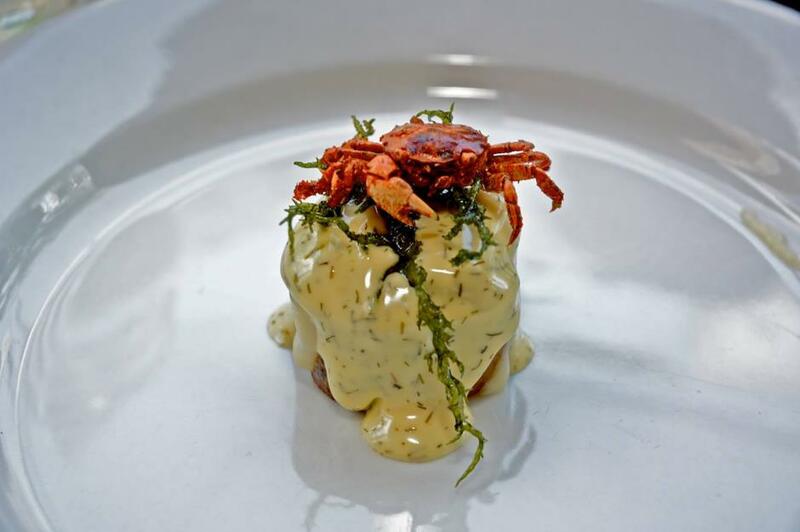 You'll also visit the jewel in Rehoboth's culinary crown: a(MUSE), a James Beard Award-nominated restaurant with delicate seafood plates and creative cocktails. For hearty Cuban cooking in downtown Miami, book onto the Little Havana Tour. 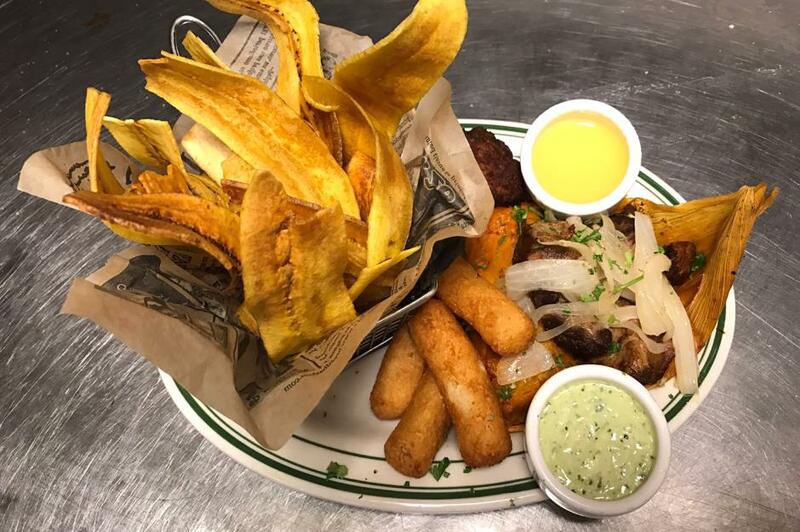 You'll sip Cuban cocktails at the Ball & Chain bar and lounge (a mainstay of the city's live music scene since the 1930s) and feast on fried plantains, guava pastelitos and a traditional Cuban sandwich. At each venue, you'll be greeted by enthusiastic chefs keen to share stories about the dishes they serve The tour also includes a visit to a Cuban cigar factory. Inman Park is one of Atlanta's trendiest neighbourhoods, a leafy suburb known for its hipster hangouts and creative food scene. 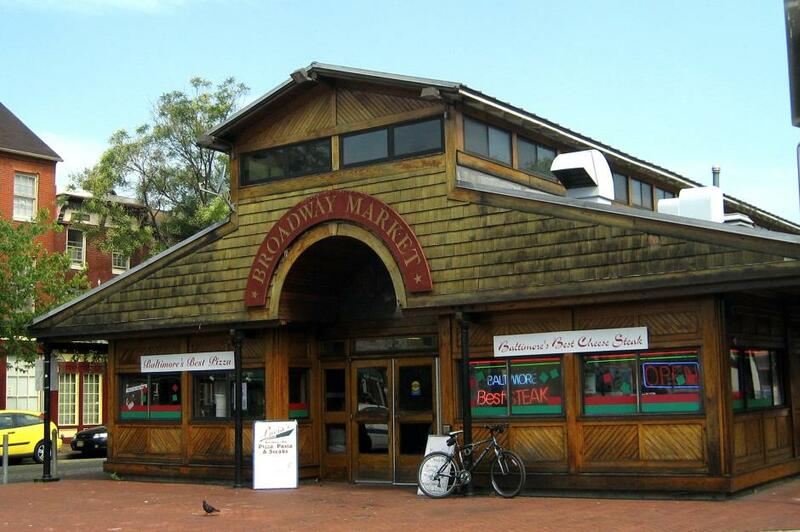 This afternoon tour samples the best the area has to offer like the industrial-chic Krog Street Market (pictured). The steaming Szechuan dumplings from Gu's Dumplings are one of the best bites. Ube pancake. Spam musubi. 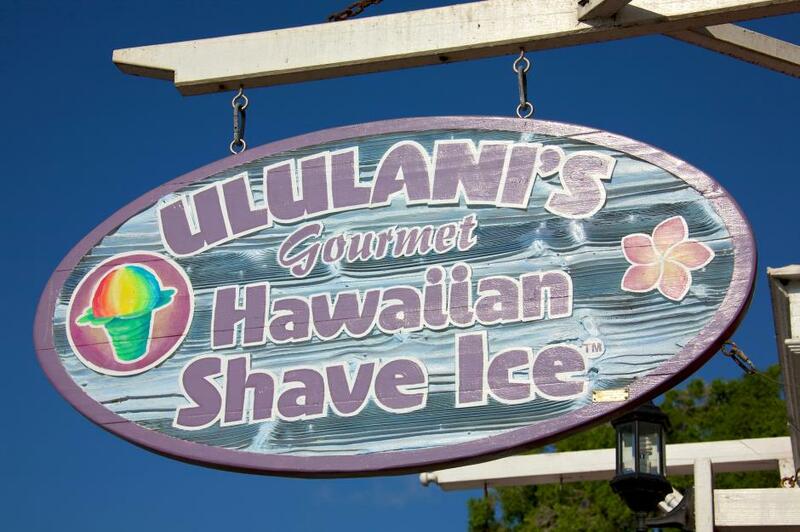 Shave ice. These Hawaiian staples all feature on this walking tour in Honolulu. Tours, which include seven stop offs, are led by Honolulu local Ryan Conching and focus on independent restaurants and speciality food stores. Idaho's capital is one of America's most underrated foodie spots but Indulge Boise is determined to put the city on the gourmet map. 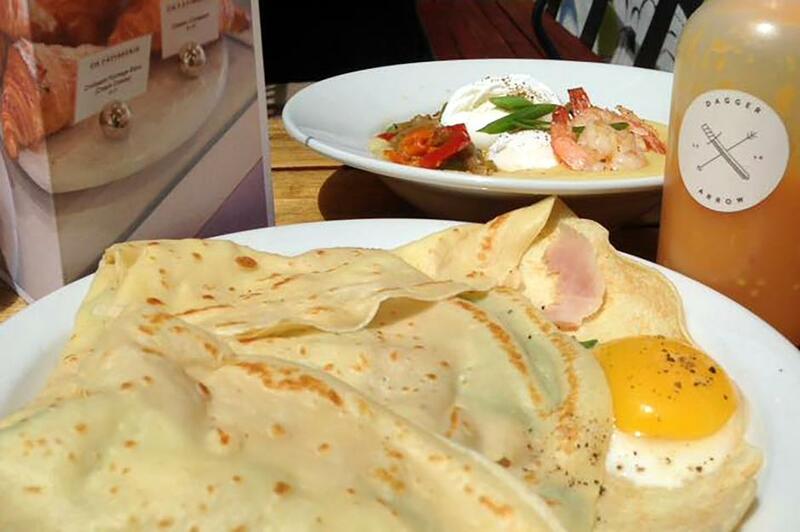 This tour explores downtown and picks out the best dishes to try along the way. 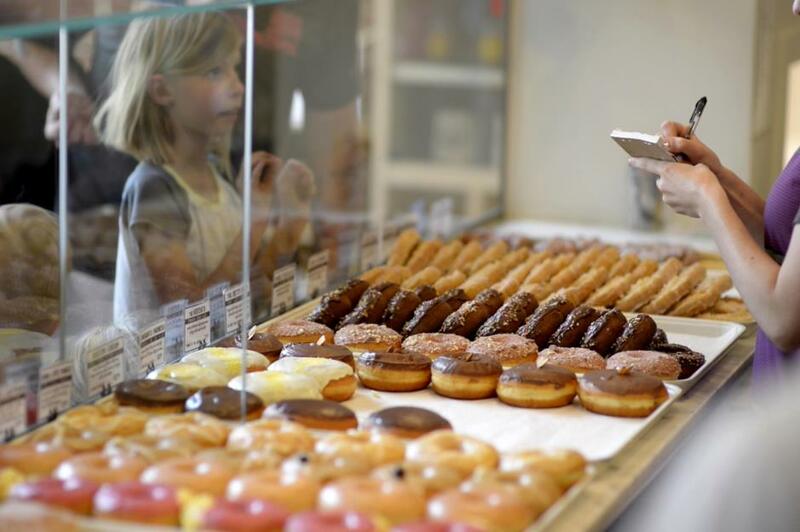 You'll dine at Wild Root Café & Market, known for its seasonal farm-to-table food, and indulge your sweet tooth at Guru Donuts, who still follow a handwritten 1940s recipe. Chicago is synonymous with deep dish pizza but there's a lot more to enjoy in the city. For a broader taste of the Windy City, opt for Chicago Food Planet's "Best in Chow" tour. You'll taste an Italian beef sandwich at local institution Al's Beef and a Chicago-style hot dog from Portillo’s. 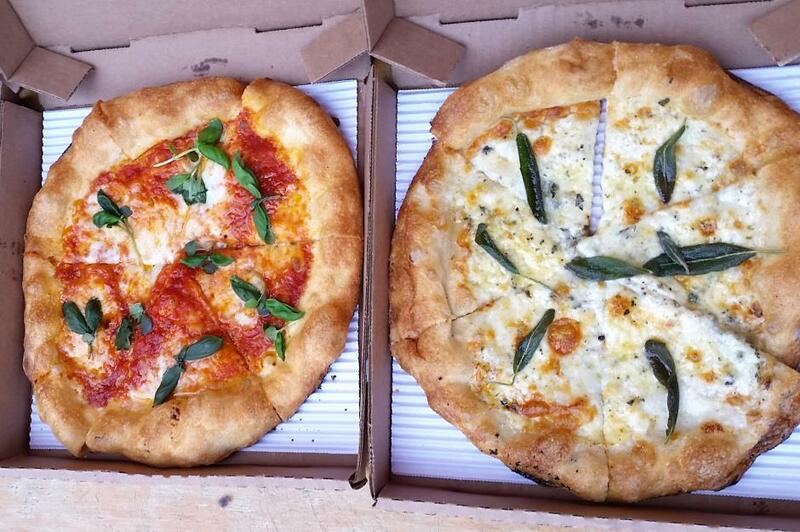 Of course, you'll also get a bubbling slice of pizza from beloved pizzeria Lou Malnati's. For a true taste of Indianapolis, you needn't look much further than Massachusetts Avenue, a bustling cultural district in the city's downtown area. On this walking tour, you'll try local beers, handmade meatballs and German cuisine. The tacos and tequilas at modern Mexican joint Bakersfield are a highlight too. 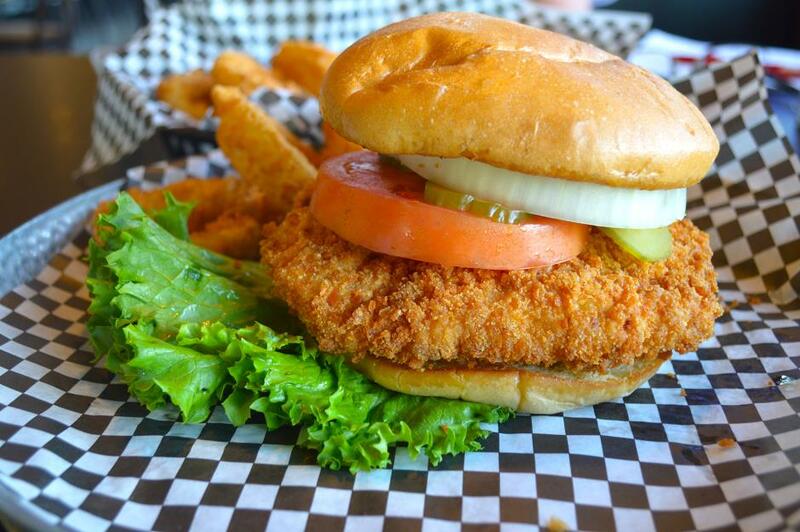 The Iowa Pork Producers Association has put together the Iowa Tenderloin Trail, which highlights the best places in the state that make Iowa's most famous dish: the pork tenderloin sandwich. Think quality pork cuts covered with crispy breadcrumbs, barely contained by the bun. You'll have to go this tour alone but you can download a "Tenderloin Trail Passport" and get it stamped as you try each of the 14 sandwiches en route. 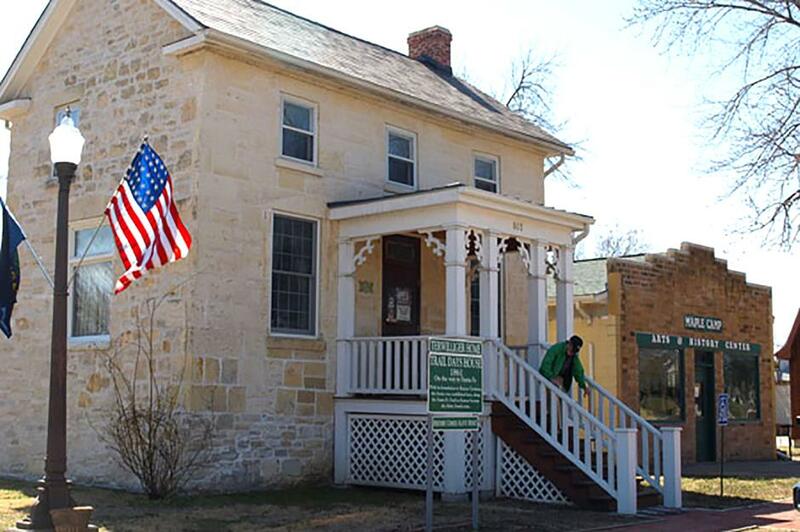 The folks at Trail Days Cafe and Museum in Council Grove offer a time-travelling food tour, taking you back in time to the days when the Santa Fe trail, stretching from Missouri to New Mexico, was a major commerce routes. Homes, like the Kansas spot pictured, would open up to feed hungry traders. Today, tour guides take you round a preserved period home, entertain you with stories and serve up homemade early American dishes for a taste of the past. 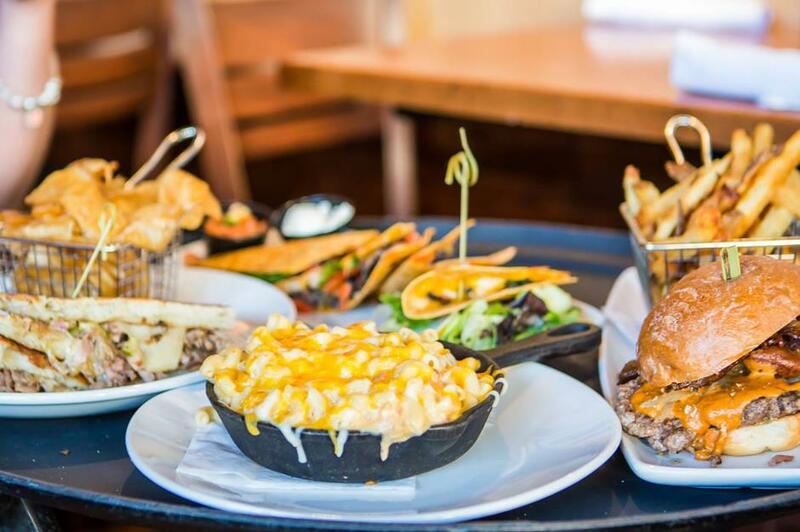 With Riverside Food Tours you'll sample hearty pub grub from Irish tavern Molly Malone's, before visiting Keystone Bar and Grill for decadent mac and cheese in the fast-regenerating area of Covington. Keystone tops the cheesy American classic with everything from braised beef to buffalo chicken. 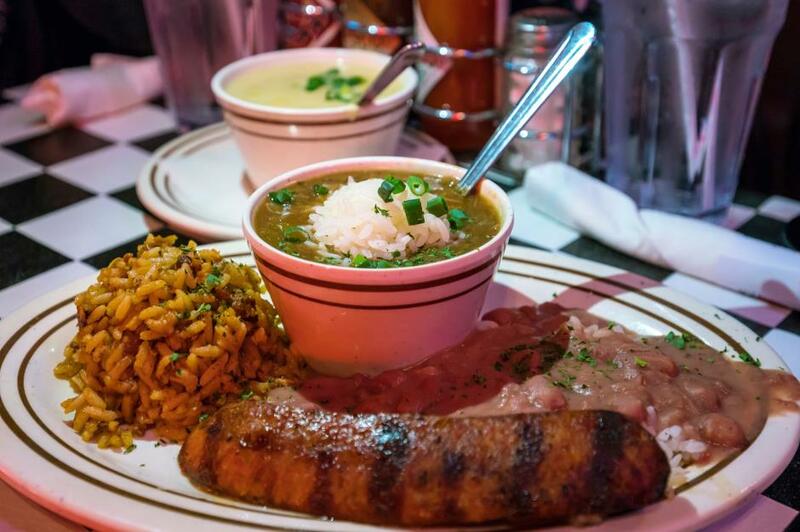 This tour takes you straight to the best Creole and Cajun food in NOLA. 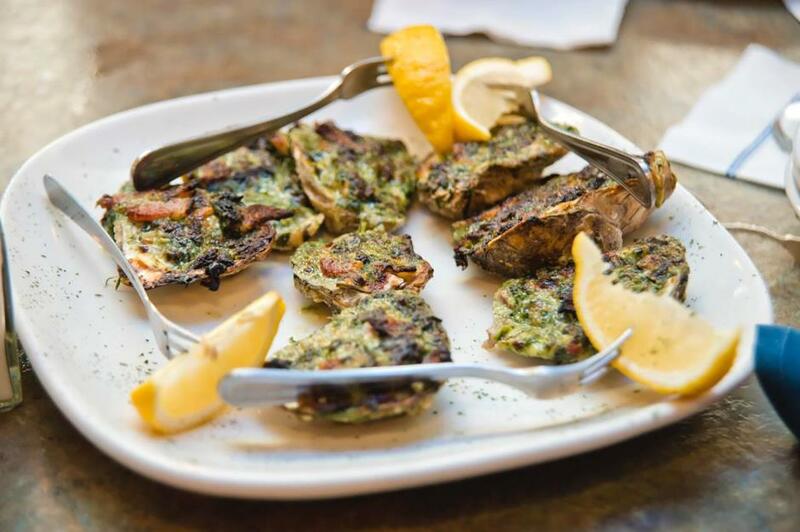 You'll pound the streets of the French Quarter for three hours, dipping into local haunts to try traditional dishes like seafood gumbo and beef brisket. You'll get to see a chef demonstration along the way, too. A food tour of Maine wouldn't be complete without sampling some lobster – and this entire tour revolves around it. 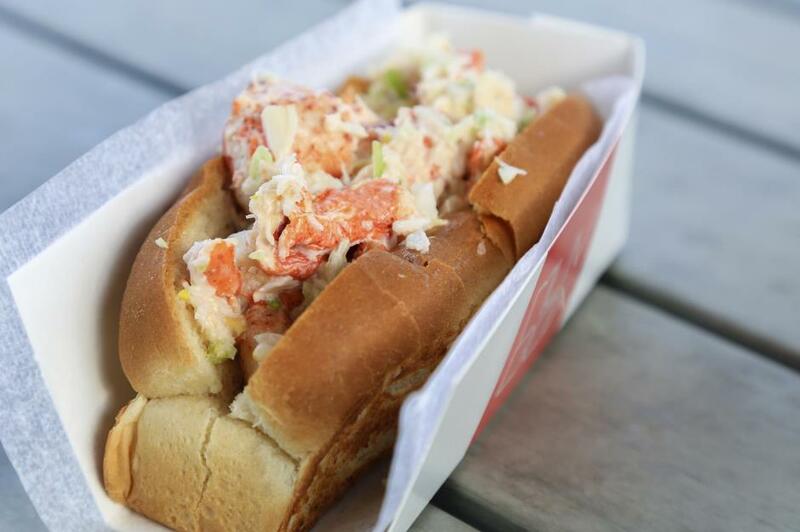 It takes place on the waterfront where you'll spot working lobster boats, before sampling a fresh lobster roll. Seafood chowder and lobster mac and cheese are also on the menu. 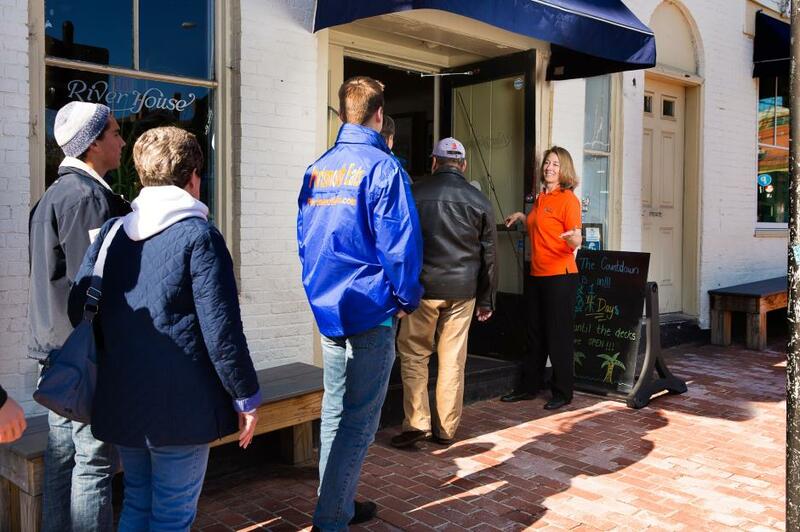 This three-hour tour explores a historic part of Baltimore's downtown: Fells Point. It's a waterfront area known for its maritime past and great seafood joints. 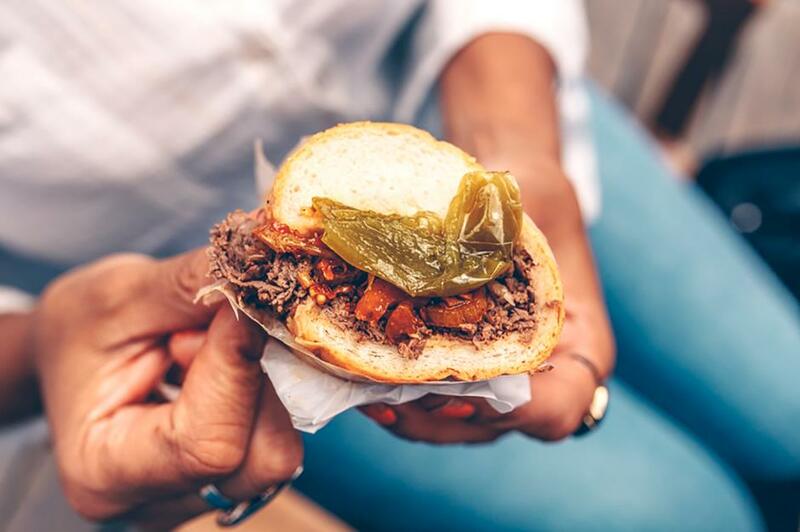 You'll begin at the covered Broadway Market and sample Maryland specialities like crab cakes and pit beef – hunks of roasted meat served up in a sandwich. This tour focuses on Boston's historic North End, one of the oldest neighbourhoods in the city. You'll feast on Massachusetts staples like lobster roll and clam chowder, as well as Italian classics like bubbling brick-over pizza. On every tour, there's also a "secret dish" that you'll discover on the day. The Detroit Eats Food Tour is not to be missed. 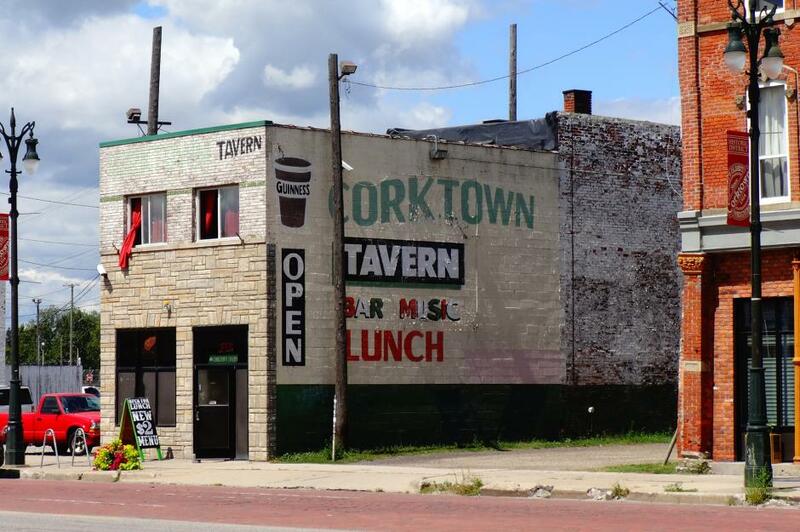 Journey around historic Corktown in the city's downtown – you'll learn about the area's importance, feast on traditional barbecue and sample craft beer. This tour makes the most of Minneapolis's Skyway system (suspended covered bridges connecting the city's tower blocks). You'll feast on chicken wings and sweet chilli-glazed shrimp, corn bread and craft beer. Stopoffs include institutions like Manning's Café which has been serving American comfort food since 1932. This tour guides you around five different restaurants in this underrated Gulf Coast city. 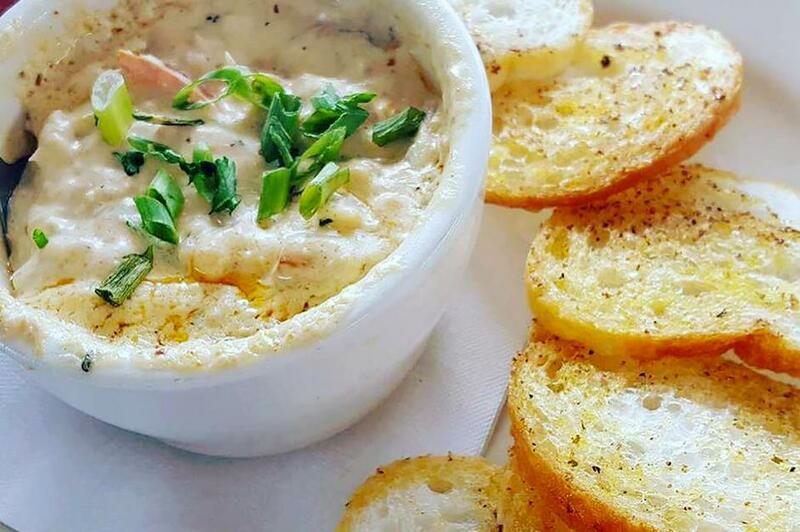 Seafood is a delicious staple in Gulfport, and Felix's Restaurant and Oyster Bar, famed locally for its delicious crab dip, is a tasty stop. 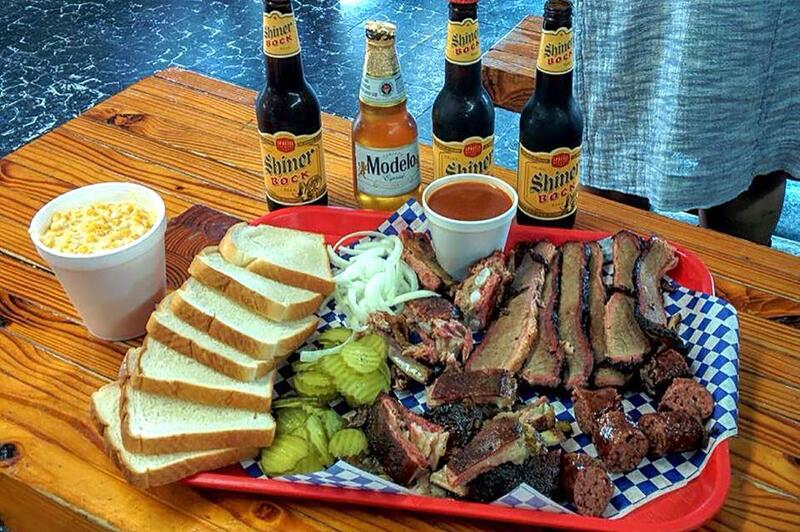 One for meat lovers, this tour is all about barbecue and beer. Travelling by bus, you'll spend the day driving across Kansas City, sampling the best spots for smoked meat. 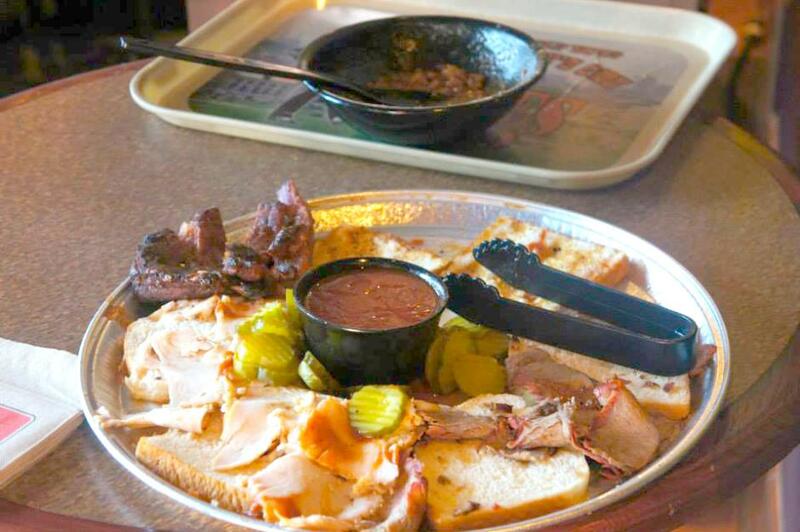 Stops may include Gates Bar-B-Q, with its belly-busting sandwiches, and legendary joint Arthur Bryant's Barbeque, with its secret spicy sauce recipe. 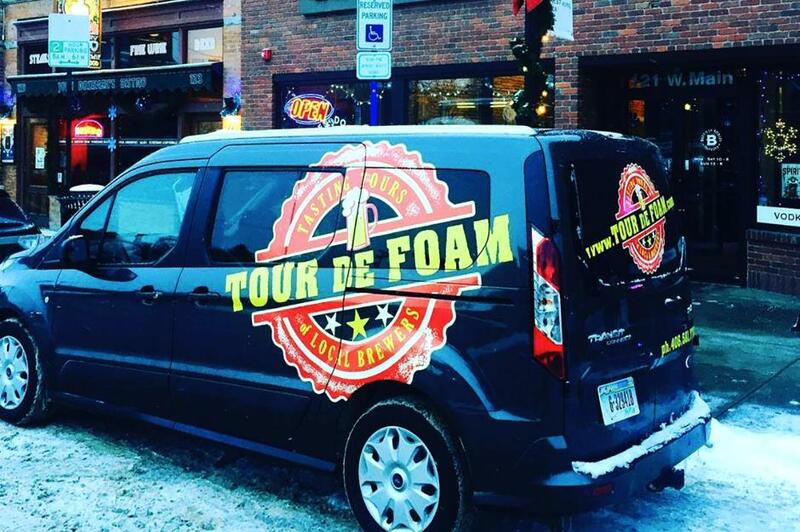 For top-notch beer and food, hop on this Tour de Foam and Food. You'll travel around the southern city of Bozeman in their beloved "brew bus" with a beer expert in tow. To soak up the beers, you'll also sample a huge bison pepperoni pizza at the Bridger Brewing Company. 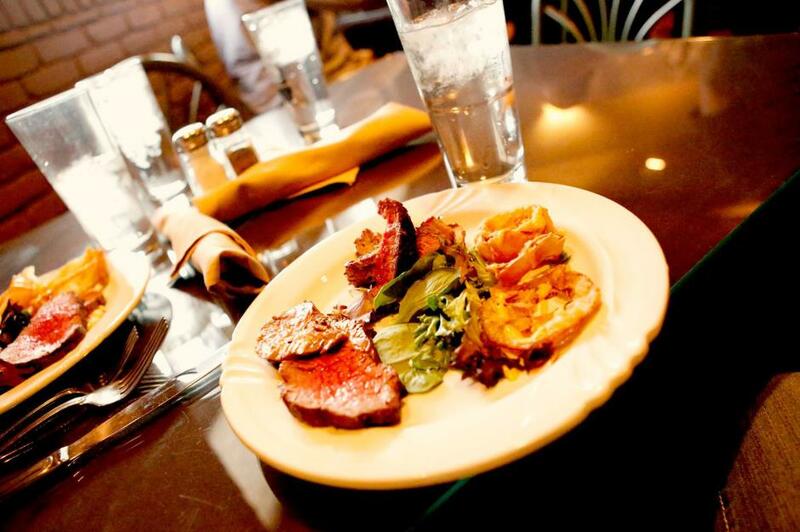 Nebraska is well-known for its steak and this classic steakhouse tour takes you to best in the city of Omaha. You'll likely visit Gorat's which claims to serve the "finest steaks in the world". Las Vegas is known for slot machines and poker tables but it also has serious culinary credentials. The Savours of the Strip Tour is a fine dining restaurant crawl of the city's most sought-after locations. Restaurants aren't disclosed until your tour day but stops have included fancy French restaurant Bardot Brasserie in the lavish ARIA Hotel. Run by enthusiastic locals, this tour brings together the best of Portsmouth, a city with some of New England's best seafood. Seaside spot You'll get to sample The River House's clam chowder, which has won best in show for the dish at Portsmouth's Chowder Festival for three years in row. 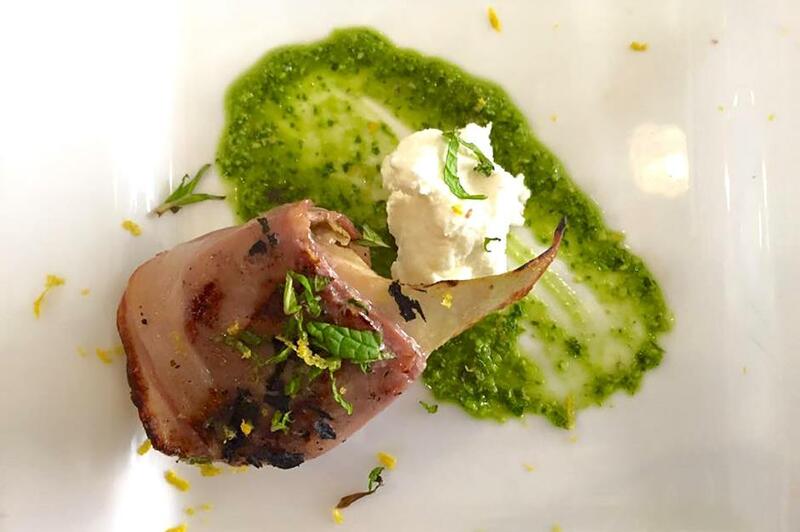 The Hoboken Food & Culture Tour highlights Italian influences on New Jersey cuisine. 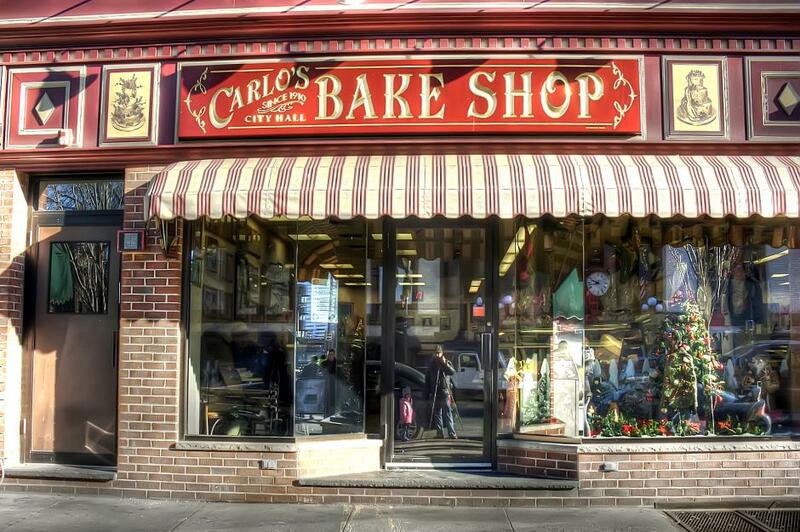 You'll visit local institution Carlo's Bake Shop, and taste handmade pastries and speciality cakes and Antique Bar & Bakery, in operation since 1938. Beyond the bakes, try a hearty Italian sub at Fiore's Deli and grab a slice of pie at Grimaldi's Pizzeria. Led by locals, this lunchtime walking tour is a great way to explore Santa Fe and its New Mexican cuisine. 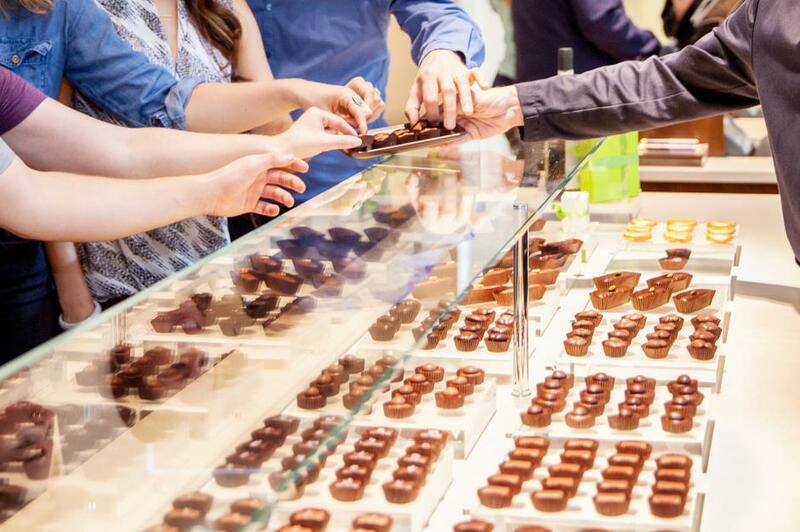 You'll visit five venues including La Casa Sena and the Kakawa Chocolate House. The former is an elegant restaurant serving traditional enchiladas, green chile cheeseburgers and grilled elk tenderloin. The latter is a chocolate shop known for its chilli-chocolate creations. You'll never go hungry in New York City but for a true taste of the city's foodie scene, you'll need to head to Brooklyn. The area is renowned for its hipster hangouts and huge open-air food market. 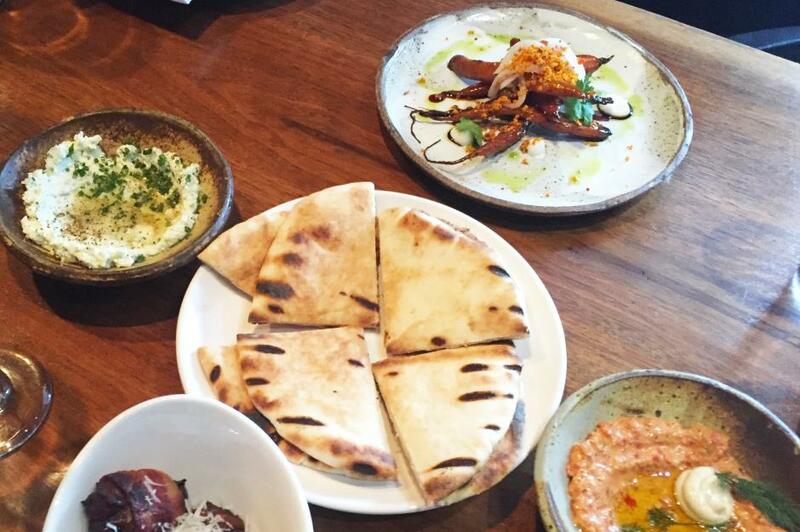 On this Best of Brooklyn tour, you'll travel by bus, stopping at popular Table 87 for a delicious slice of coal oven-fired pizza, and Oasis for laid-back Middle Eastern cuisine. Experience the state's southern-style soul food on this tour in Charlotte. In each spot, you'll hear from local chefs and restaurant owners about their inspirations and family recipes while tucking into proper comfort food. 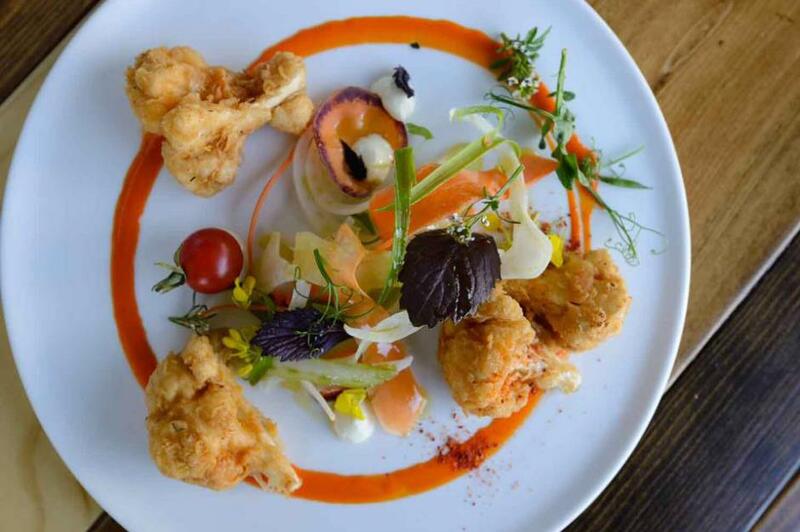 Rooster's Wood-Fired Kitchen, a restaurant with French, Spanish and Italian influences, is a highlight. The North Dakota tourist board has pulled together a guide to the best spots in the state. You'll have to download the map from North Dakota Tourism and take yourself on the tour but it's worth it. 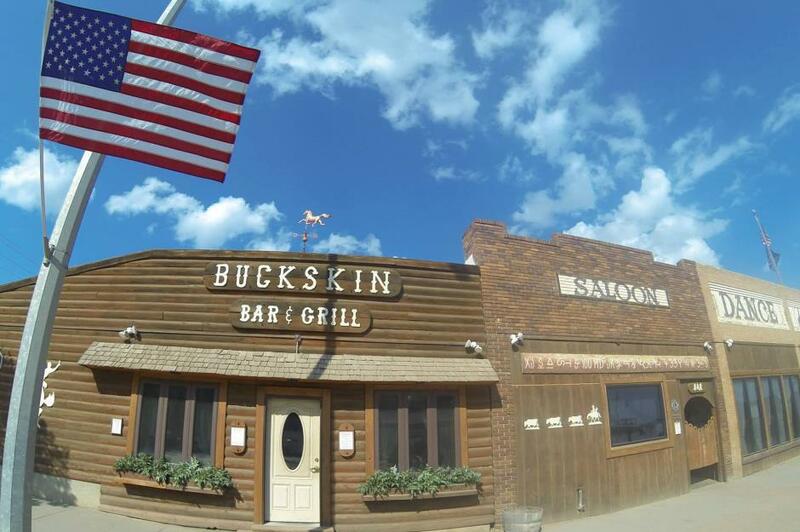 The trip reflects the state's heritage and includes the 19th-century Buckskin Bar & Grill, serving hearty all-American dishes, and Reuben's Restaurant, a German-American joint – a nod to the German ancestry of many North Dakota residents. 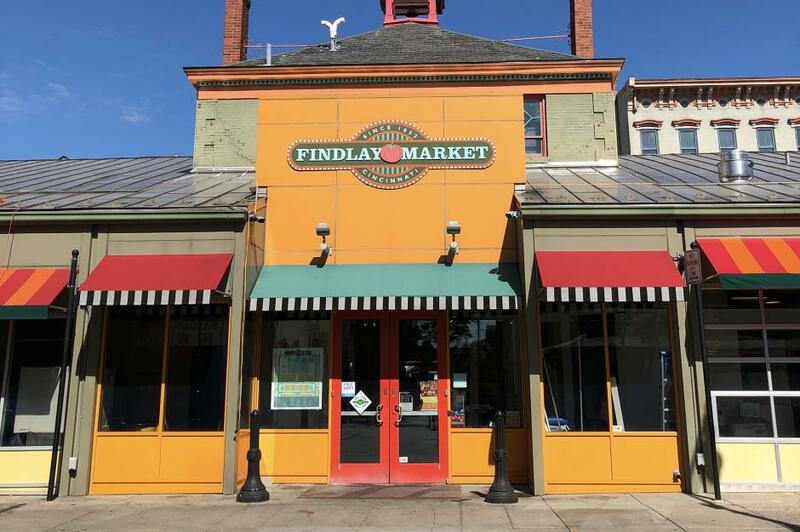 Take a tour of Findlay Market, the oldest market in Cincinnati, and learn about its history as well as its culinary delights. During the tour you'll meet five merchants, who'll share their story and a sample. A highlight is Grandma Debbie's Kitchen, beloved for their tasty meatballs and wings. For a small extra fee, you'll get wine and beer tastings too. 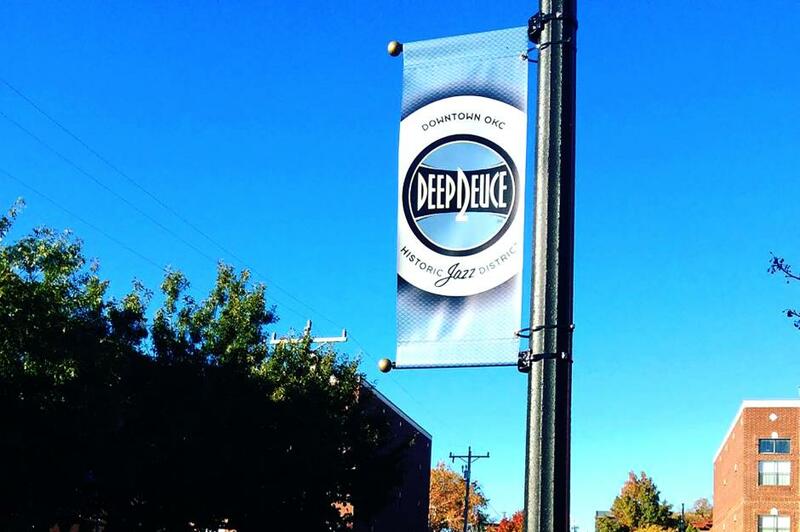 Oklahoma City's Deep Deuce district is best known for its jazz but its restaurants are excellent too. Foodie Foot's Deep Deuce Tour showcases the best spots including Belle Kitchen for lovingly made sweet treats, and Urban Johnnie for mouthwatering burgers. 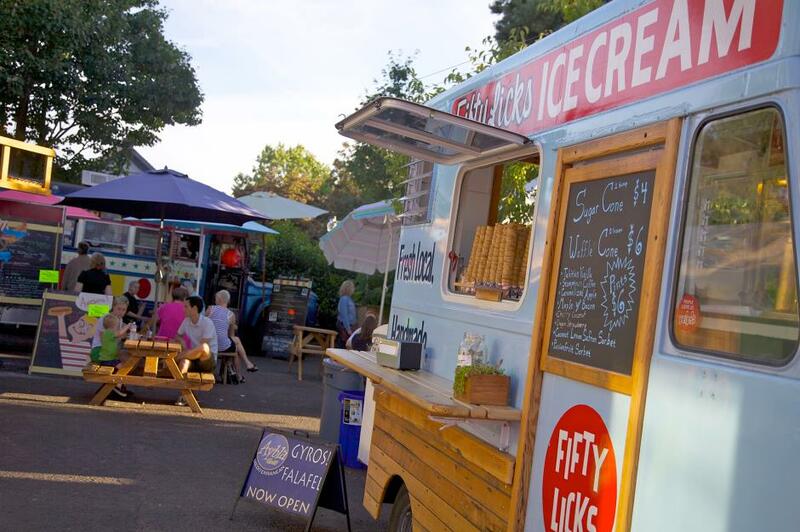 Portland is awash with street food trucks and this tour shows off the best of the city's roving vendors. Local Brett Burmeister will show you around and you'll try dishes from favourites like Gyro House and Pyro Pizza. 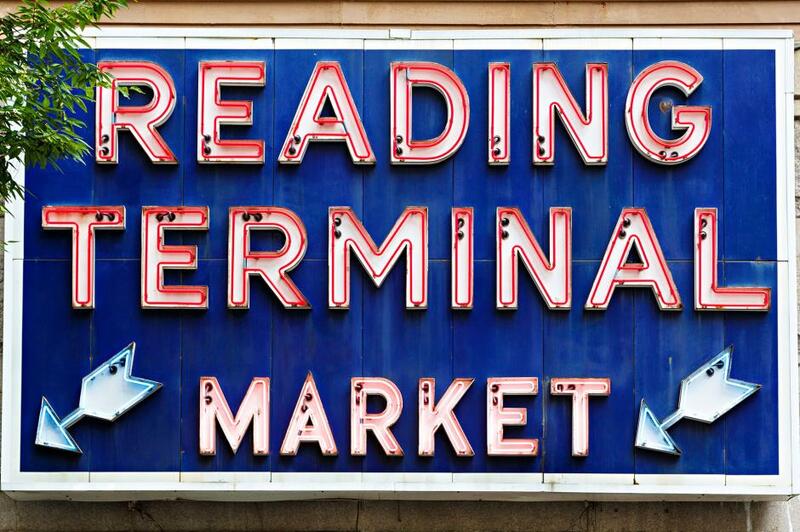 This local-led tour is operated out of Reading Terminal Market. Its leader, Carolyn Wyman wrote an entire book about the Philly cheesesteak so she knows her stuff. You'll sample Philly classics like scrapple, pretzels and the famed cheesesteak itself. This three-hour tour takes you through downtown, showing off Providence's hearty, farm-to-table food. 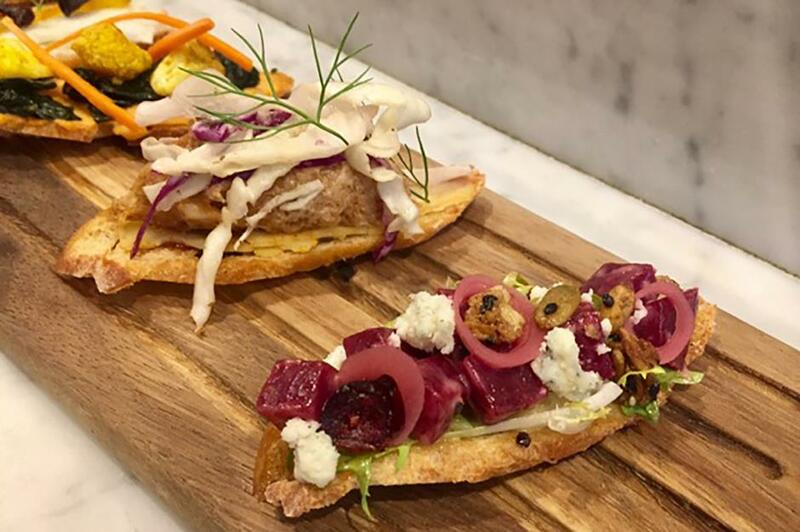 You'll visit Dune Brothers Seafood Shack for clam cakes and chowder, feast on pastries at Parisian bakery Ellie's and try beautiful, modern plates at upmarket Gracie's. You won't go thirsty – there's a stop at The Malted Barley tap house, too. South Carolina: Downtown Charleston Culinary Tour, Charleston Culinary Tours. Eat your way around Charleston's historic French Quarter and learn about lowcountry cooking at the same time (think rice, grits and freshly-caught seafood). You'll also taste some of the city's best barbecue. 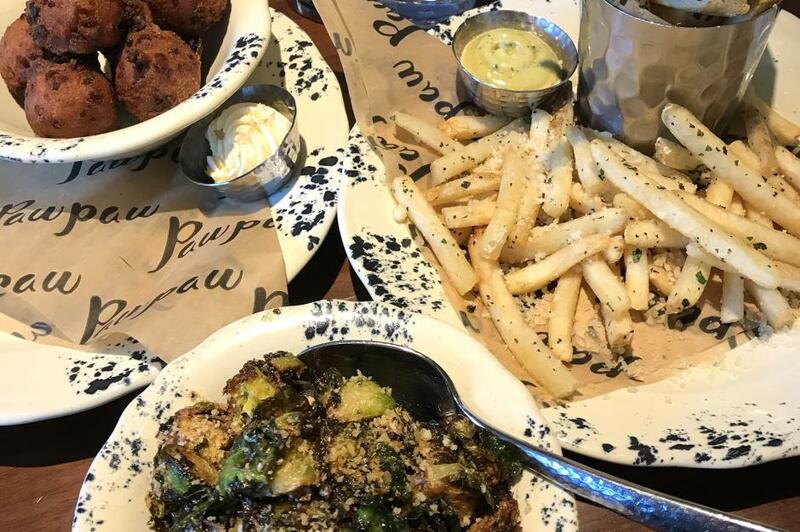 Poogan's Smokehouse, and Oyster House on Market – serving barbecue food and seafood, respectively – are highlights along the way. 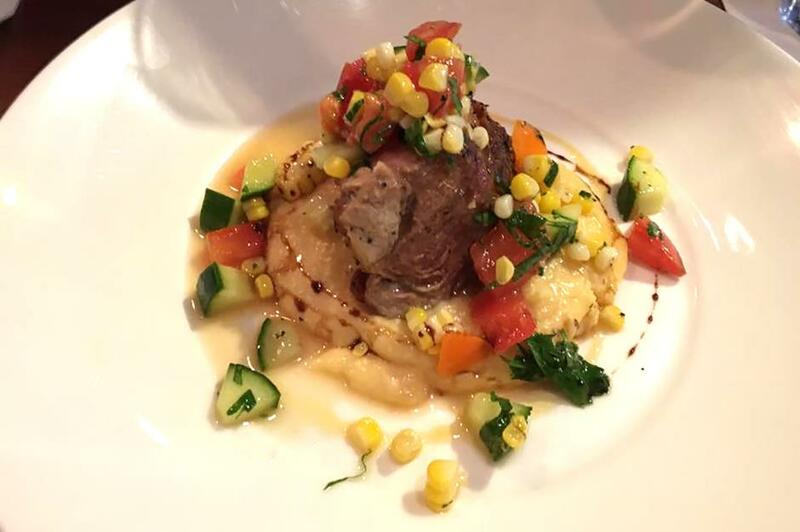 For comfort food with a modern twist, book a space on this Sioux Falls tour. It's run by Sioux Falls local and ex-barista Jenna Aukerman and you'll try comforting southern classics like shrimp and grits. 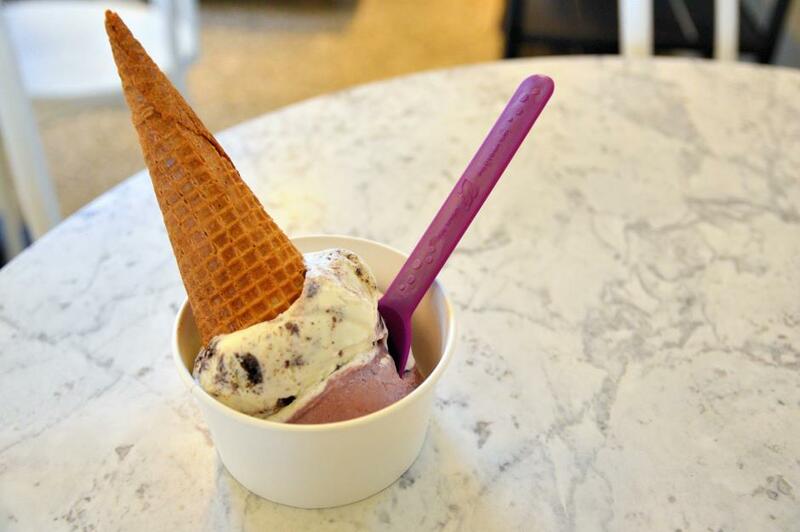 You might sample one of modern Queen City Bakery's delicious sweet treats too. The Midtown Tour in Nashville shows the best of the city's southern joints, like Mason’s, a restaurant serving inventive twists on comforting classics. As well as plenty of food, the tour includes a walk along "Rock Block", the eclectic centre of the city's rock scene. There's no better state for a barbecue tour and this is a pilgrimage to the best spots for ribs, brisket and juicy steaks in Texas. The tour lasts all day and carnivores will stop off at beloved joints like Davila's BBQ, who serve barbecued meat with a whole lot of southern hospitality. A food and history tour in one, this culinary journey is led by local Chris through Main Street in picturesque Park City. 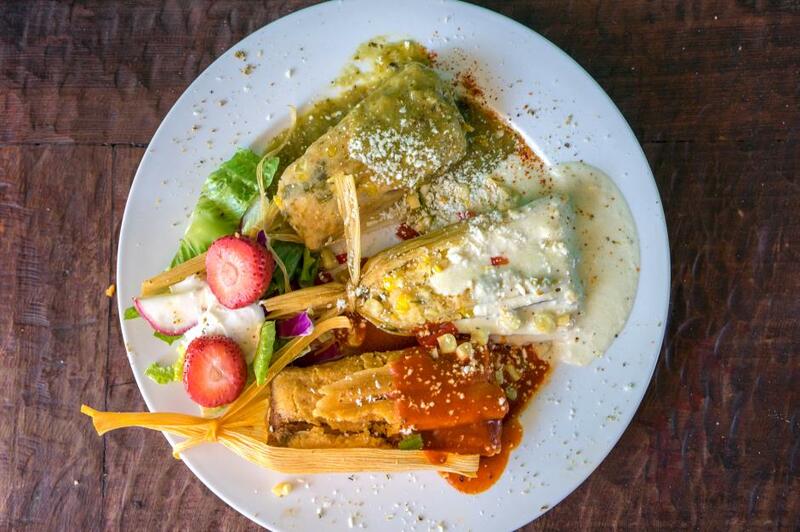 The city is best known for its Mexican-inspired and modern American dishes, and you'll try both and more on this walking tour. The buffalo cauliflower from Handle Park is a winner. Beyond the food you'll learn about the city's mining history and pop into the Park City museum. 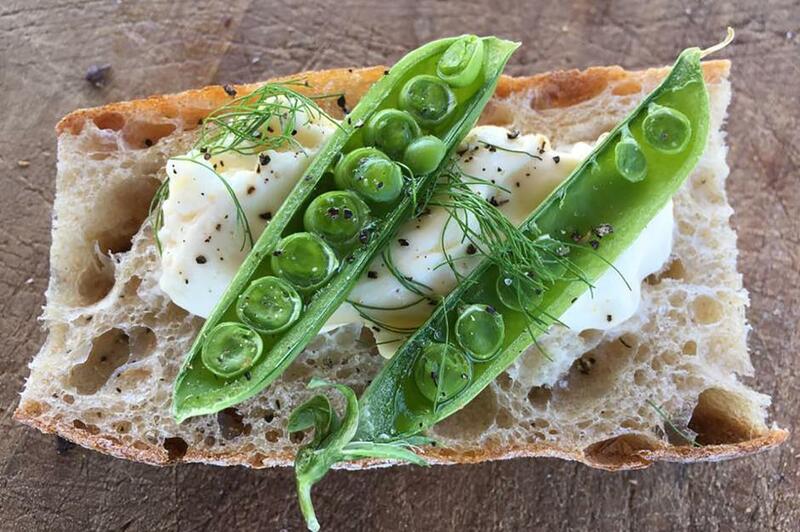 Get the chance to visit farms across lush Vermont and taste their gourmet delights. You can embark on a cheese-filled tour of Shelburne Farm, where you'll learn about the production process and enjoy plenty of samples. Or opt for Bread and Butter Farm, where you can have a go at making your own. The state of Virginia is well-known for its oysters so there's nowhere better for an oyster and wine pairing tour. The tour begins in Lynnhaven Bay where you'll learn more about the history of this delicacy. 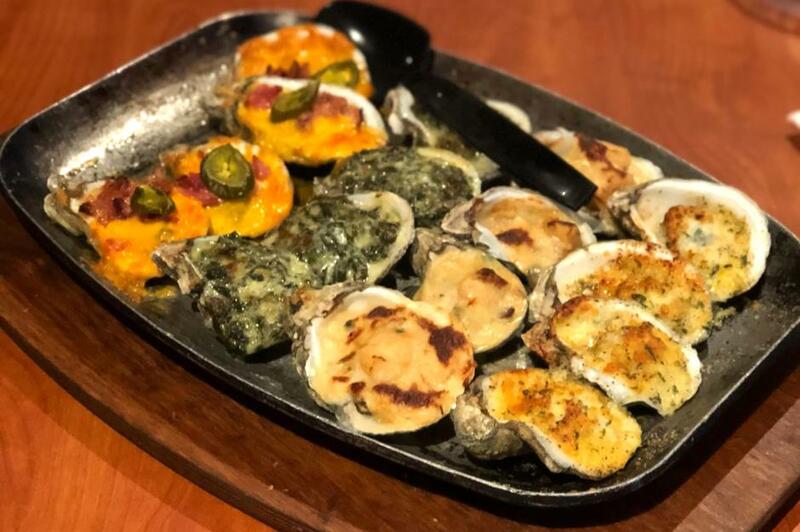 Then, head along Virginia's oyster trail, sampling them raw and Rockefeller style (baked or broiled), with carefully selected wine pairings. Family-owned seafood restaurant Rockafeller's is a favourite stop. Pike Place Market has been the heart of Seattle's food scene since 1907. On this Savor Seattle Tour, you'll explore the marketplace, sampling the vendors' wares and learning about the venue's history. 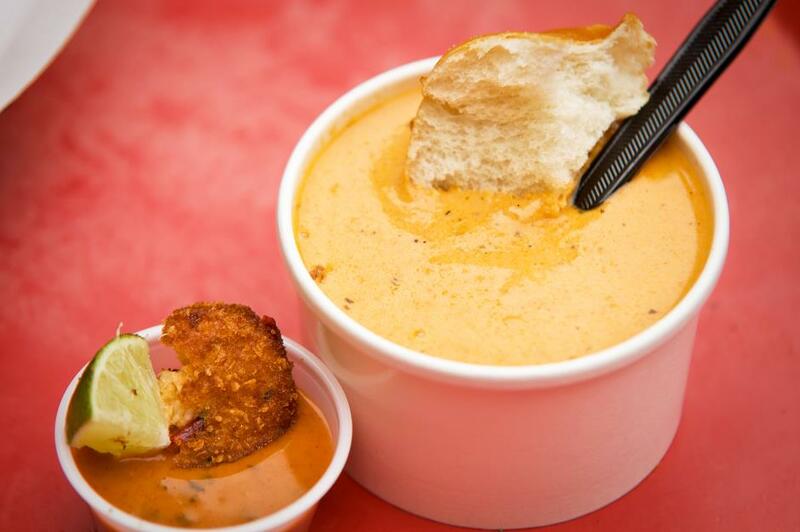 You'll try award-winning clam chowder from Pike Place Chowder and mac and cheese at Beecher's Handmade Cheese. 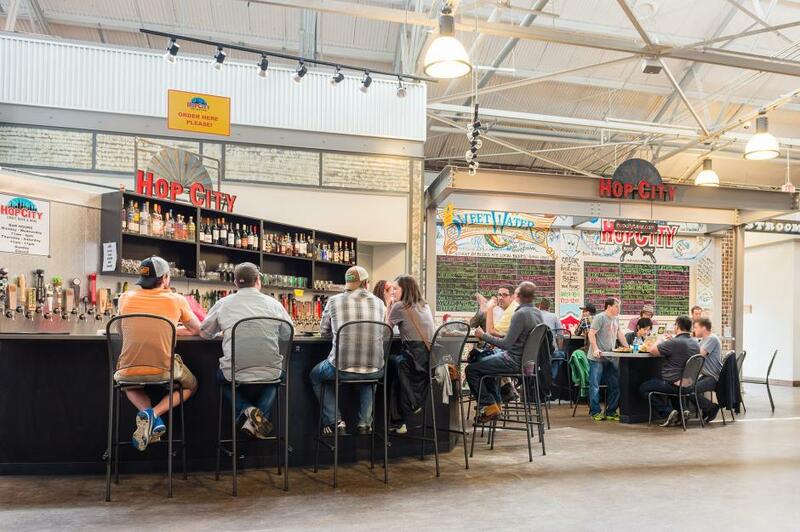 For a modern taste of West Virginia, head to the mountain state city of Huntington. It's famed for it comfort food like biscuits and gravy but this tour focuses on more contemporary dishes. 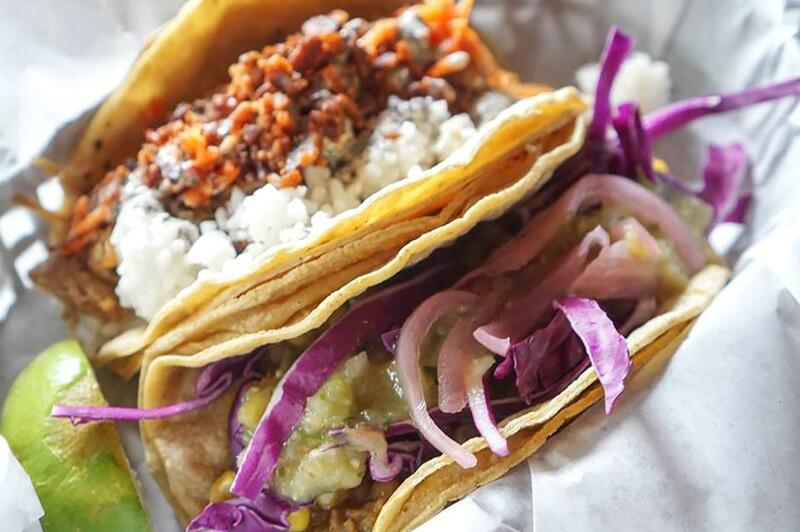 A favourite stop is Black Sheep Burrito and Brews, who dole out inventive burritos and great craft beer. Take a tour of Atwood, one of Madison's trendiest neighbourhoods in the east of the city. 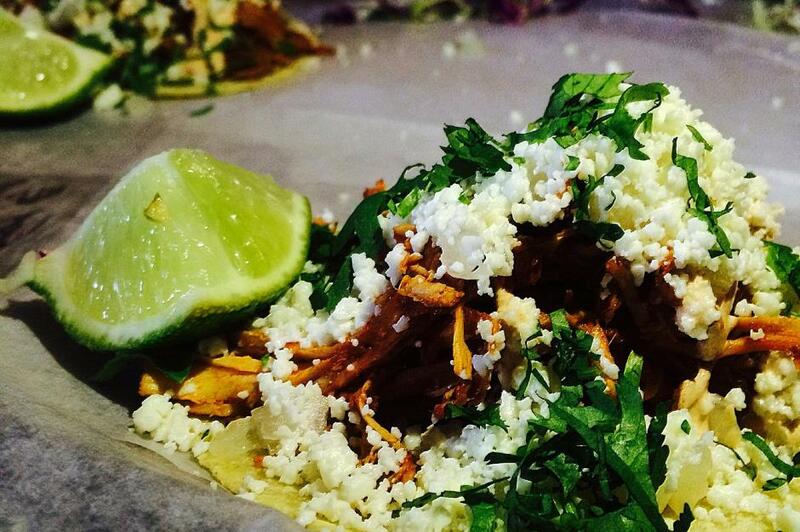 Duck into gourmet spots including cosy Thai restaurant Monsoon Siam and Tex Tubb's Taco Palace. There's craft beer on offer too, from Next Door Brewing. The city of Jackson Hole wows with its stunning scenery but, on this tour, your eyes will be firmly on your plate. 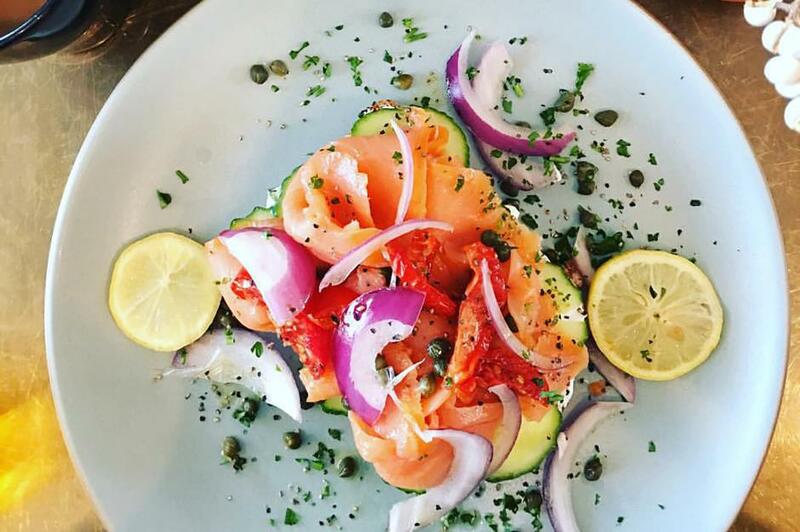 You'll visit some of the finest restaurants around like Bin22, a modern tapas spot, and artisanal French bakery Persephone.